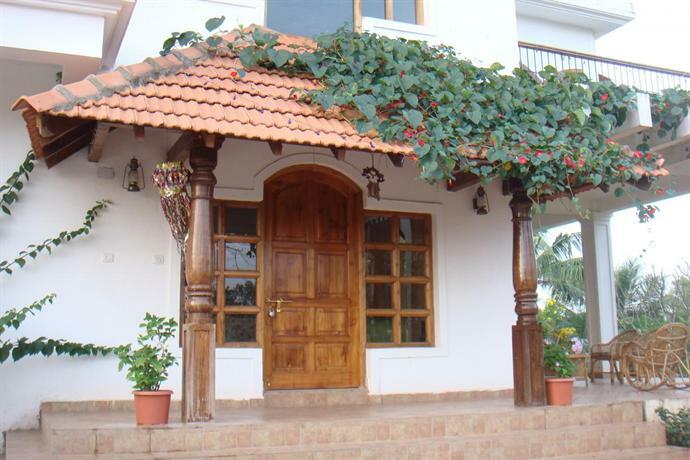 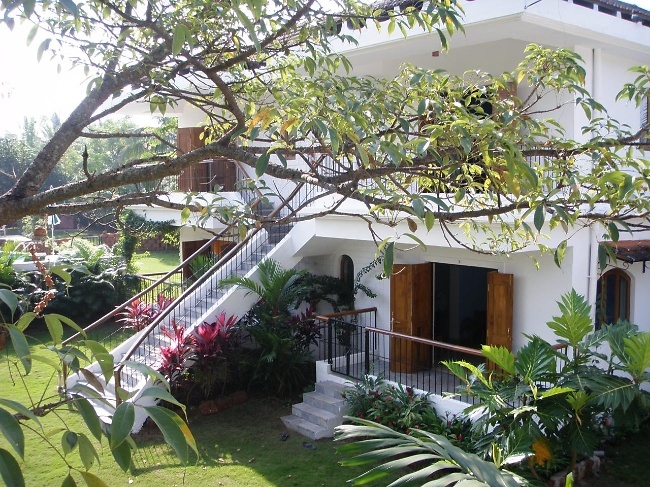 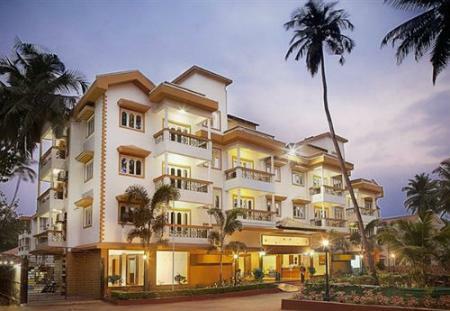 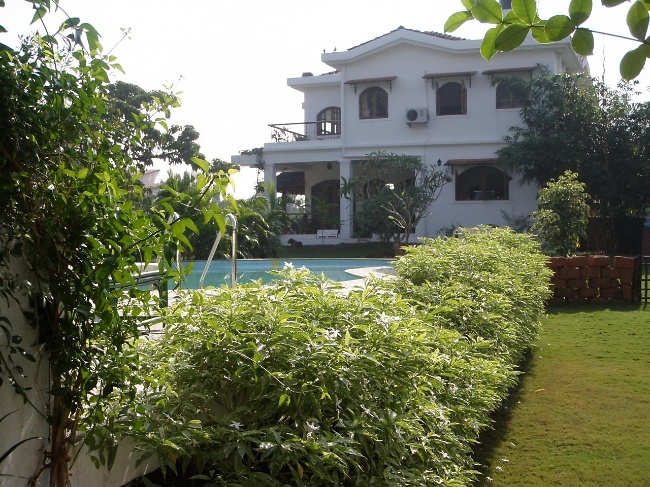 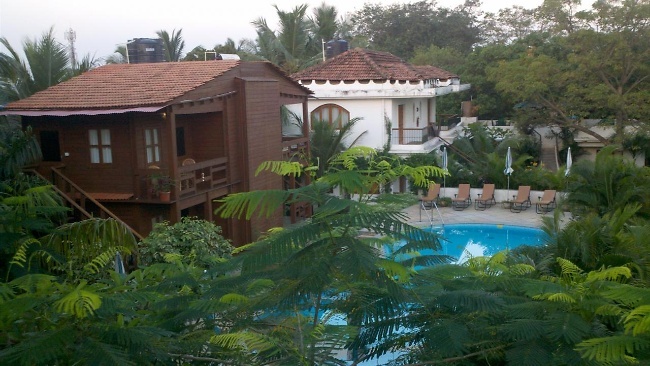 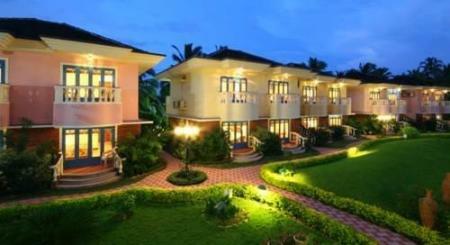 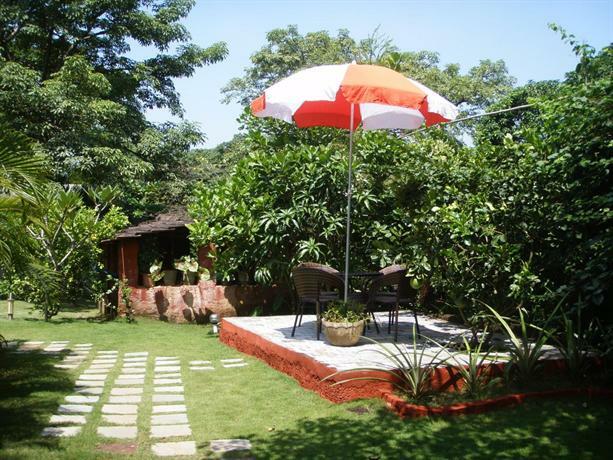 The Silk Cotton Resort is half an acre of gorgeously landscaped lawns, pool and guest rooms surrounded by open forested land.Barely 3kms from Dabolim airport and 6kms from Vasco station, it is close to city amenities, yet far from the maddening crowd. 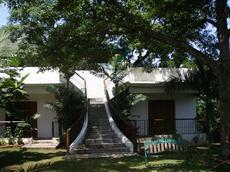 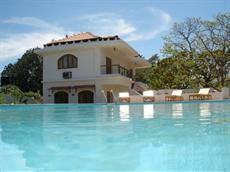 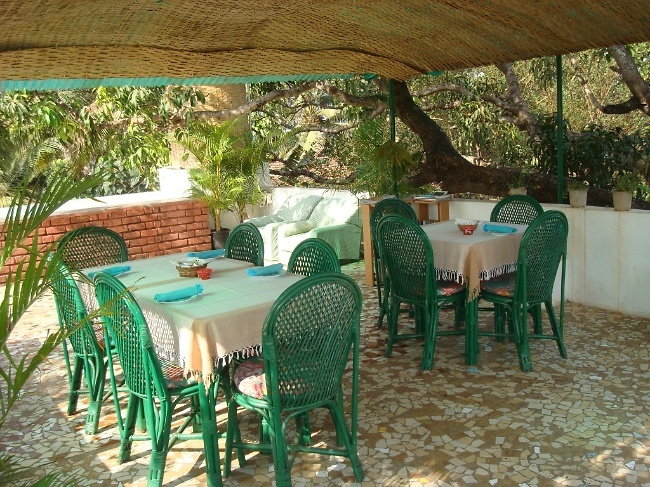 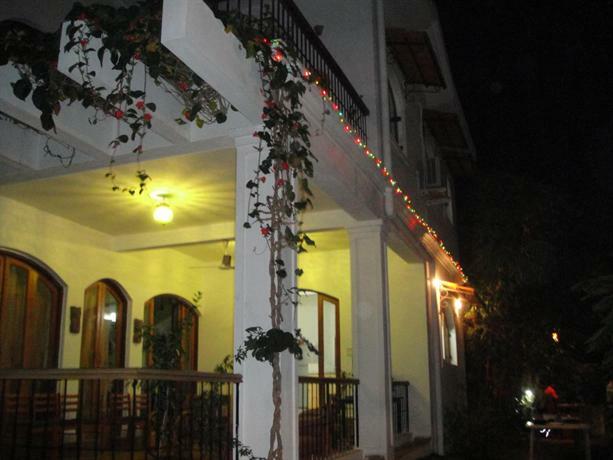 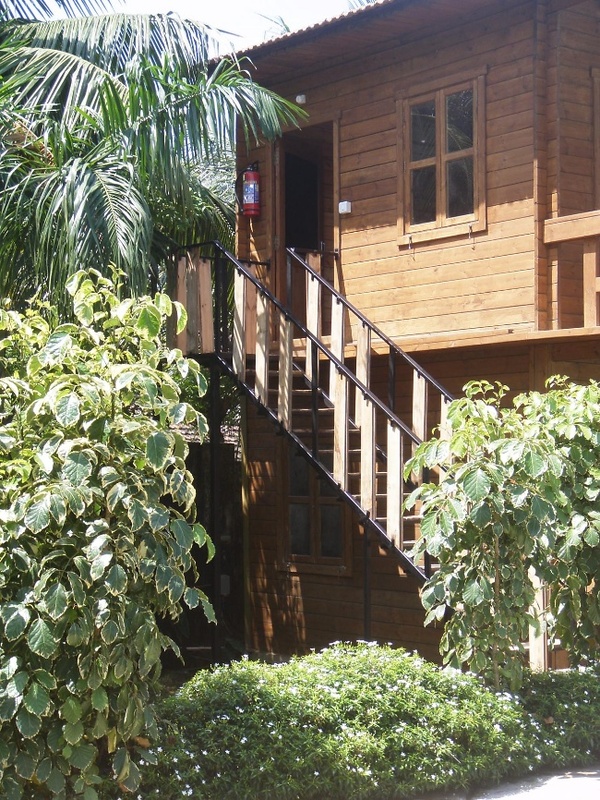 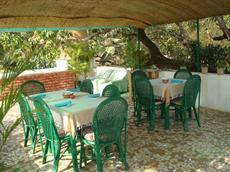 It is a charming little oasis 900 meters to the beach by the beautiful, winding hill road. 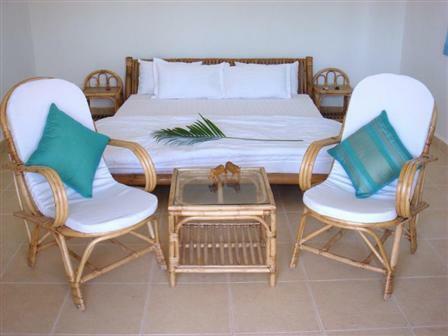 Silk Cotton is equally suited for family and vacation stays as business travel. 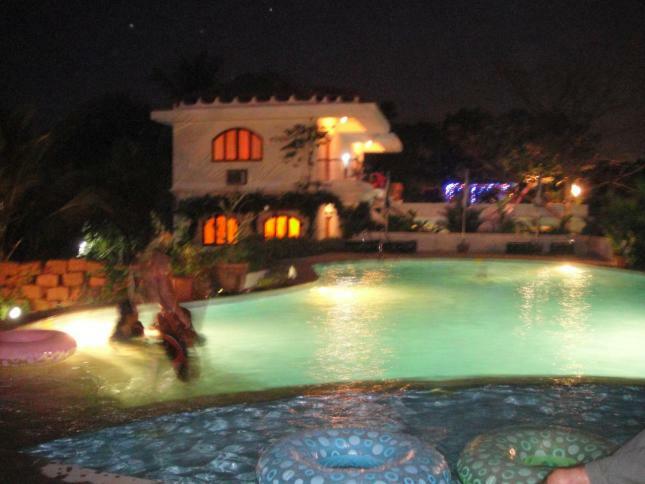 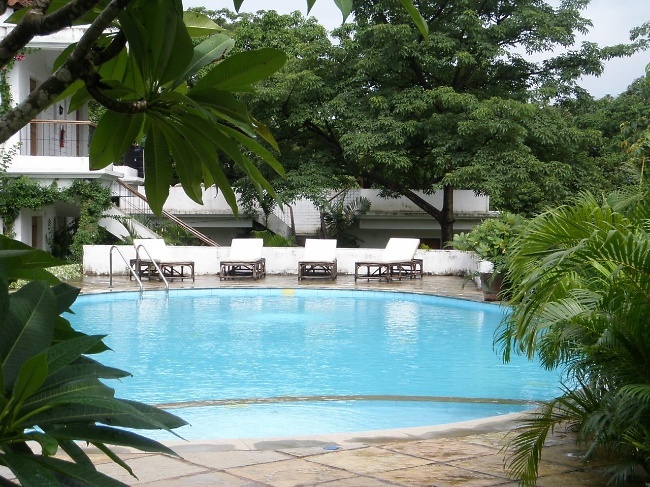 Begin the day with an invigorating swim in their outdoor swimming pool. 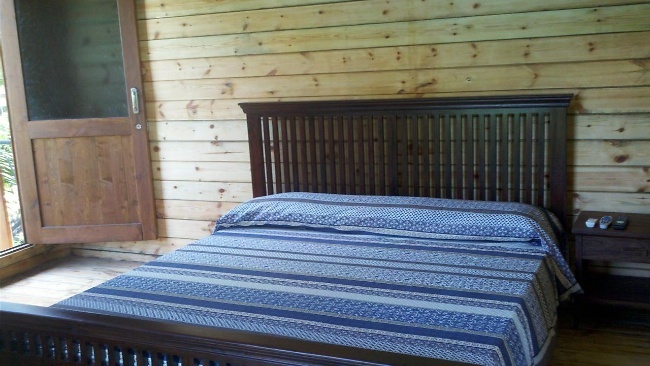 End it in the comfy luxury of your room. Silk Cotton has six spacious, beautifully appointed, air conditioned rooms - some with open air showers - and each with it's own distinct colour scheme! They also have a set of four wooden en-suite rooms. 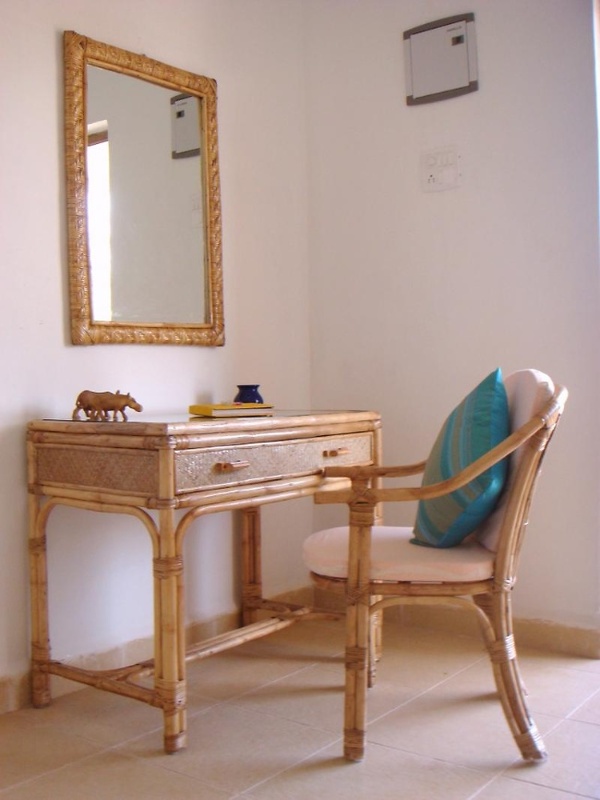 These have a lovely charm of their own.The rooms are furnished with charming bamboo furniture, pure cotton furnishings and luxurious duvets. 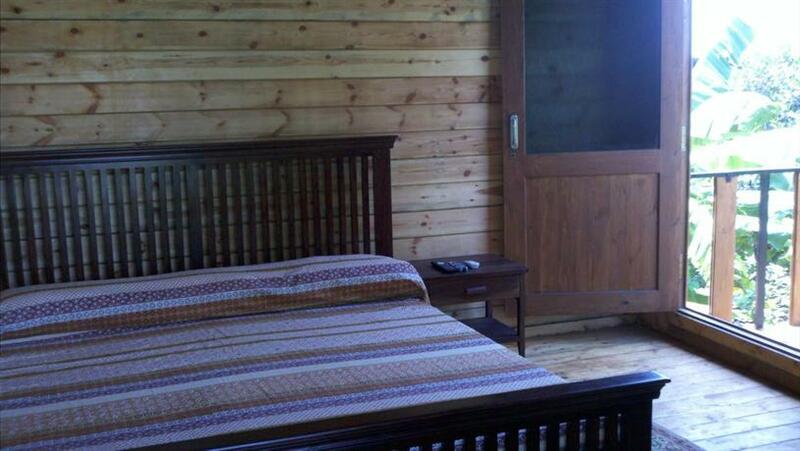 All the rooms have extra large king size beds. 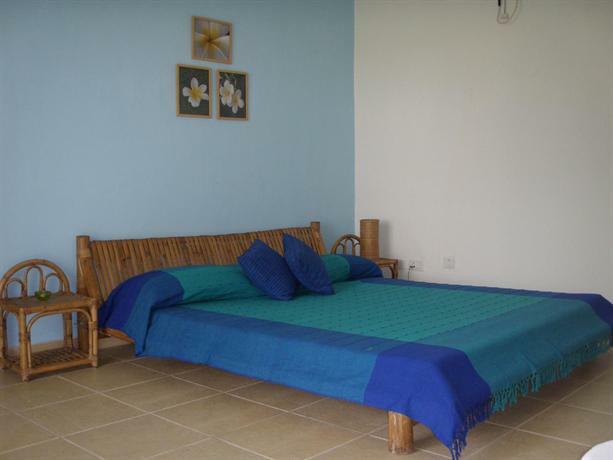 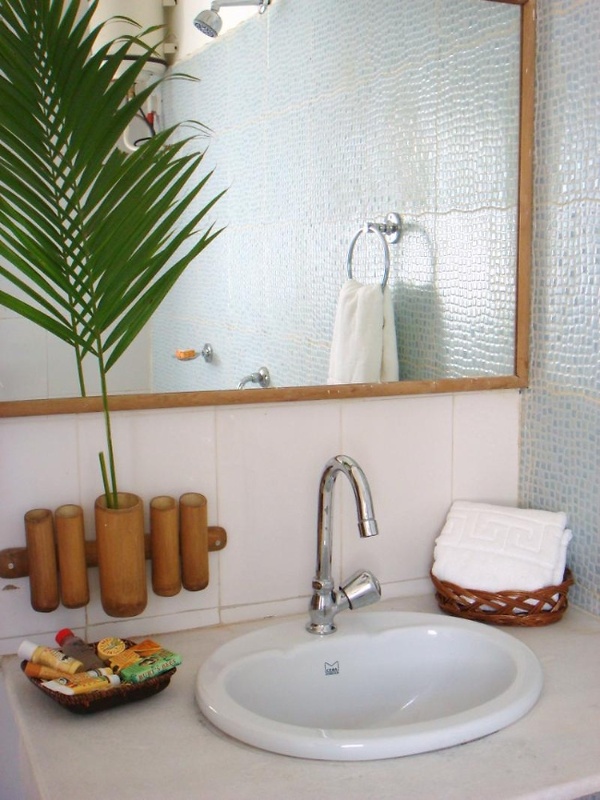 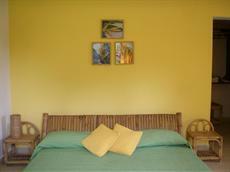 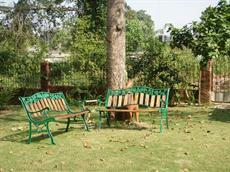 The rooms are cleaned daily with a turn-down service in the evening. 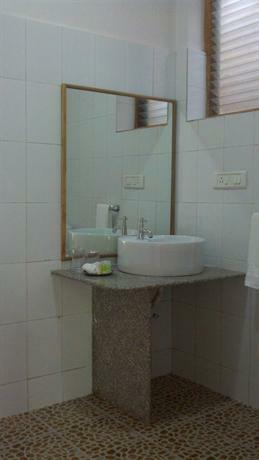 Linens and towels are changed daily. Each room comes with extras to make your stay more comfortable: In room safe deposit box, Mini bar, Tea / coffee maker, Satellite T.V., Free use of laptop with internet access on demand, Modern en-suites with running hot & cold water and Bath amenities. 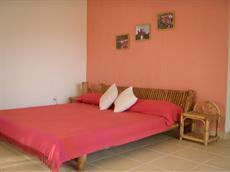 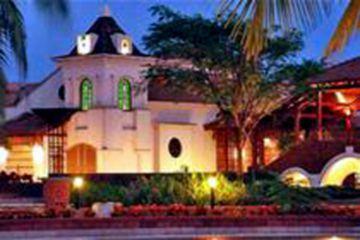 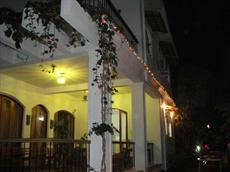 Safe & comfortable environment for women travelers.